Open up your sensorium, your touch, vision, smell, and sound feel what's Outside of you in order to digest it into a new amalgamation of existence, a new sonic vortex opening just for you. 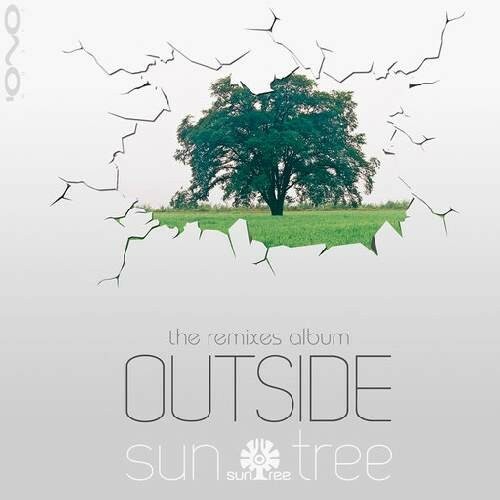 After his debut album Inside in 2009, that focused on his inner creations, Suntree, aka Alon Brillant, comes with a remix album that brings everything that was Outside and boiled it into a new conceptual framework. All the leading artists in the scene were summoned to give their interpretations to Suntree's tracks. Outsiders translation of Suntree. Each track in this album was carefully made or picked, with a lot of attention to the flow, harmony and the story presented to you. Suntree took everything that was Outside and crafted it into a tasty amalgamation. The first track is the theme track of the album 'Outside', any additional word is redundant, just open your ears and plug into the flow.